2018 Japanese Speech Contest: Call for Participants! 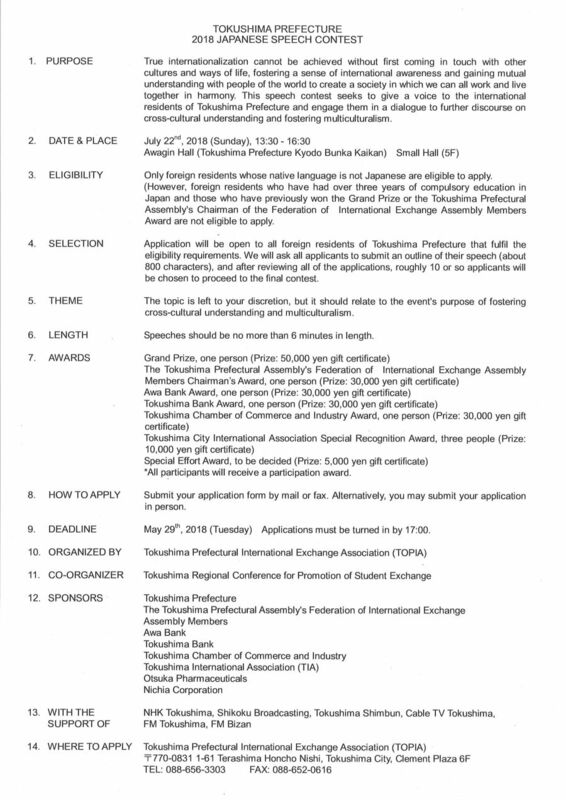 We are now taking applications for the 2018 Tokushima Prefecture Japanese Speech Contest. Would you like to talk about your life in Tokushima or talk about your own country? We encourage all of you to apply! For more information, please refer to the guidelines attached below. Speech Topic: The topic is left to your discretion, but it should relate to the event’s purpose of fostering cross-cultural understanding and multiculturalism. Applications must be turned in by 17:00.